Yahoo! Mobage [J], a joint PC social game platform by two Japanese web gorillas Yahoo! Japan and DeNA, announced [J] that the number of their users passed over three million in 5 months since its official open on October 1st, 2010. 3 million is bigger than 2.55 million, the number of active users Facebook Japan has gotten so far (according to Socialbakers.com), though Facebook’s Japanese users also shows a spike helped by recent media rush. See the chart from Socialbakers. As DeNA repeatedly says their “virtual graph”(friends network does not necessary need to be based on your real-life network) does not compete with “social graph” oriented networks like Mixi (and Facebook), you may say how huge mobile Mobage-Town/Gree and PC Yahoo! 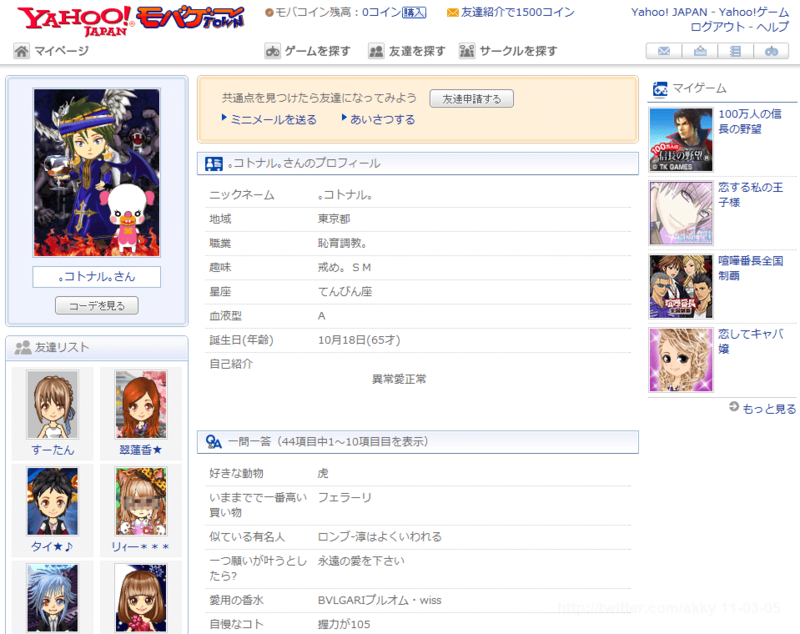 Mobage has no relation with real-world-based Facebook’s success in Japan. But if you start suspecting the future importance of building friends network from real-life, this means Facebook Japan becomes down to the 6th player, needs to chase Yahoo! Mobage in addition to Gree, Mobage-Town, Mixi and Twitter.